The fully air-conditioned hotel was built in 2001 and has been extensively renovated. The hotel comprises 72 rooms spread over 8 floors. Guests are welcomed in the inviting lobby, which includes a 24-hour reception desk, a hotel safe, a currency exchange counter, and 2 lifts. Dining options include a pleasant caf, 2 bars and a restaurant. Medical assistance is available on request. Bicycles, which may be hired within the hotel, have a separate storage area. 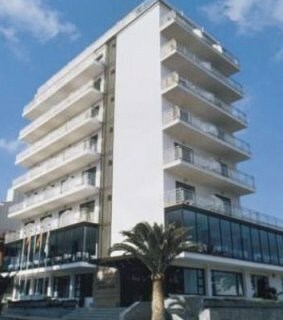 This appealing beach hotel lies in Can Picafort in the Bay of Alcudia in the north of the popular island of Mallorca. The hotel provides an ideal destination for young and old, couples and singles. Links to the public transport network can be reached on foot (around 10 m away). In the immediate vicinity (100 to 300 m) is the picturesque centre with countless shopping venues, bars and restaurants. Can Picafort offers a large selection of leisure options such as walking, cycling and boat trips.